On Wednesday morning a little over a week ago, God called one of His children to come home to heaven, my grammie. Our hearts are raw and our cheeks are stained by the tears that have been flowing there. But my soul is rejoicing because of the reunion that is going on in heaven. The two of us shared many special memories over the course of my life. She was always there for me. When a dark time crossed my family’s life, she took me into her home to live with her for a while. When my family and I moved back into town during my high school years, again she opened her home. We vacationed together, we celebrated together and most importantly we loved together. I would love to say that the past week and a half had been a breeze, however these stages of grief have been hard to bear. Emotions had been playing a number on me which has been making me question what is in my heart. I love my Lord with all my heart and soul and if it was not for my relationship with Him these questions would separate me from all that is good for me. I had to make things right with Him. As I cried out in prayer, His answers became clearer to hear. You are mine and I love you. I will carry you and never leave your side. 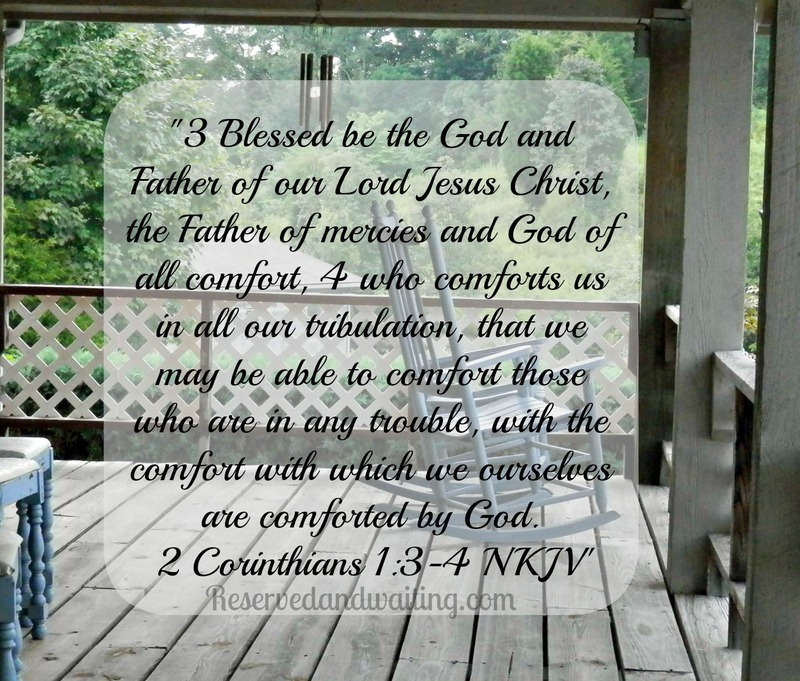 In your time of troubles, I am here to comfort you so that you can comfort those in their times of trouble. These words spoken to my heart from 2 Corinthians 1:3-4, they made me realize how our enemy was attacking my life through this period of mourning. My mind looked back on how my mom lived her life, how my grammie lived hers. 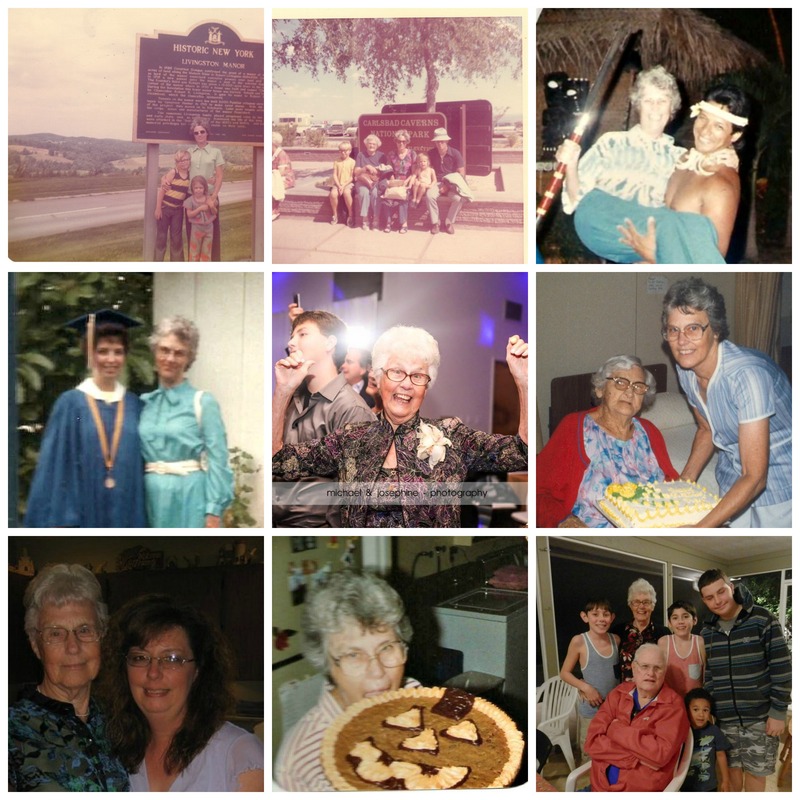 The words still fresh from grammie’s service played on….. she always had a smile, her hugs were the best, she loved her Lord. I decided no way Satan, this is not your victory. The love that Christ has shown to me is the love I want to share with the world. The feelings I had that tried to break me down are now turned around. The examples I had from my mom and my grammie on how to live my life through His love is one of the most precious gifts, they could have ever left for me. The three of us had more in common than blood. We share the same love for our Lord. Though she touched the lives of many. She was called by some momma, aunt, and friend. I called her grandma until her first great-grandson was born then, she became grammie. She is loved by so many and she is going to be missed greatly. Her smiles, her big bear hugs, the loved that she showed toward us. 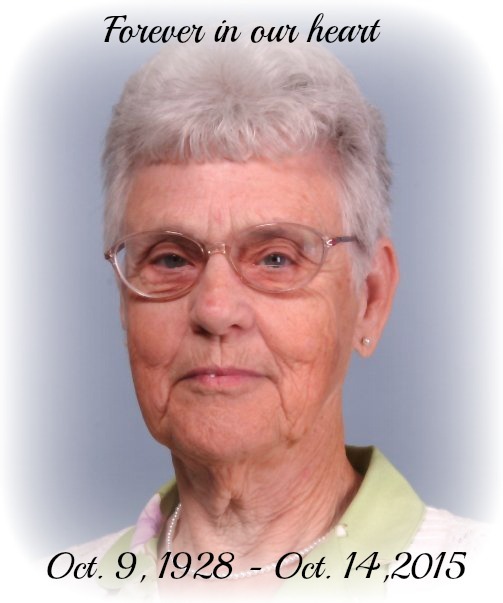 She would want us to hold dear in our hearts the memories we shared with her and of her. However, of all the earthly characteristics that made her who she was, there was one that wove them all together, the love she had and shared for her Lord. She wanted everyone she knew, to come to the Lord and accept Him as their personal Lord and Savior. She wanted them to know beyond a shadow of doubt that they were saved and that their eternity was secure in Him. Just like she did with me that one Sunday so long ago. Every Sunday morning during the invitation time of the service, I would always have to be my grandma’s side with my arms draped around her waist. Though it never bothered her, she asked me one Sunday why I did that, did I feel insecure in my salvation. My response was of uncertainty as to why I did that. That Sunday, she prayed for me and asked God to give me the assurance of my salvation. From that Sunday on, I never felt the need to hold her during service. I ask you today, Do you know without a shadow of a doubt, that you are saved? That your eternity is secure in Him? If you can not answer that question with assurance, I invite you now to click on this link Be Reserved. It will lead you through the plan of salvation. 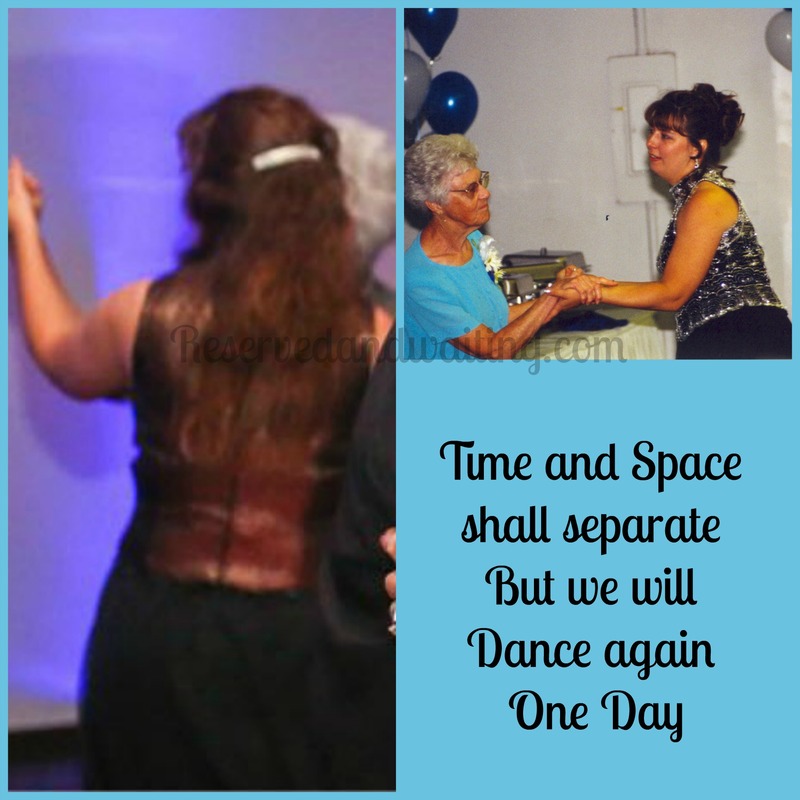 I had my last dance with grammie here on earth, but I will dance again with her one day, on those street of gold. Worshipping and praising God’s Holy name forever more. I would want nothing more than you to be there dancing by our side.